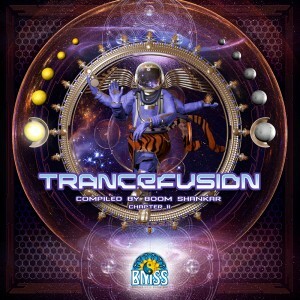 Painstakingly curated over a year from a motley crew of genre bending masters skilled in the art of sonic wizardry, Boom Shankar and BMSS Records bring you Chapter 2 of Trancefusion. These 11 tracks redraw the lines without losing sight of what is important to dancefloors. Split over two chapters, all 22 tracks defy categorical trends, yet fuse seamlessly, transporting the listener from technodelic progressions to Progressive Trance, to Retro Goa Trance remixes and on to peak time Psychedelic Trance. Some highlights from Chapter 2 include a remix of the classic Atmos track "The only Process" by Captain Hook, a remix of Etnica & Pleiadians by Imaginarium with the former remixing "Simulated Reality" by Boom Shankar and Soul Kontakt. Sabretooth`s remix of Cosmosis and Spirit Architect featuring Try2Fly stand alongside these legends with outstanding work of their own. Always striving for the perfect balance between eclecticism and fundamentals, Trancefusion Chapter 2 is an innovative reinterpretation of a genre that is uninhibited, expressive, deep and definitively Psychedelic.